are an expression of passion, place and season. Each has a story to tell. 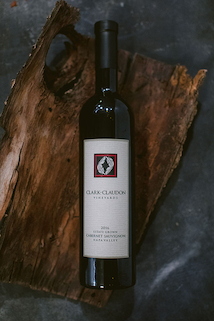 First Flight Members receives a 33.5% discount on all wine purchased except for those ordered through our Cabernet for Care philanthropic program. In November, 2016 an increase made our wine prices current with small production, Napa Valley, Estate Grown artisan wines of equal caliber. Yet, to honor our customers who had supported us along the way we decide to protect them from the increase with special pricing. Thus, our non-club customers became our First Flight Members. The 2018 Wild Iris overflows with all you expect from this delightfully spirited muse. 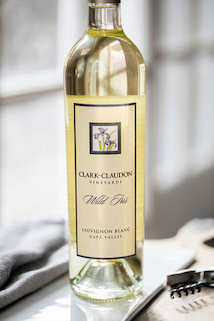 A golden hue, amazing aroma, opulent fruit, perfect crispness, velvety texture and a memorable finish, how wonderful to find all of this in your glass! Brilliance in shades of deep shiny ruby and mahogany on the rim encourage a pause as you enjoy the sheer beauty of this wine. The explosion of aromas; lilacs ensconced in dark chocolate, layers of blueberry, graphite & maple syrup, will continue to enhance the experience. Finally, enjoy a dense, but soft entrance, concentrating on the palate with a fine granular tannic frame, with touches of chocolate powder, blackberry, fresh raspberry and Jordan almonds remaining with a long, delicious finish. 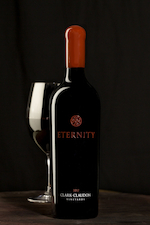 The 2015 Eternity is a spectacular vintage! Opulent in every way, perfect balance, velvety texture, firm structure…words do not do it justice. While both the Suckling Report & the Wine Advocate awarded this vintage of Eternity 95pts, at the end of the day, what matters most is that the 2015 Eternity is a vintage to celebrate the ordinary & the extraordinary. That is what an exceptionally beautiful wine is all about!